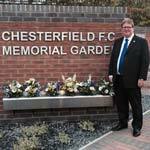 Sunday the 28 of September became an enchanted evening with the official opening of the Chesterfield FC memorial garden at the Proact stadium. 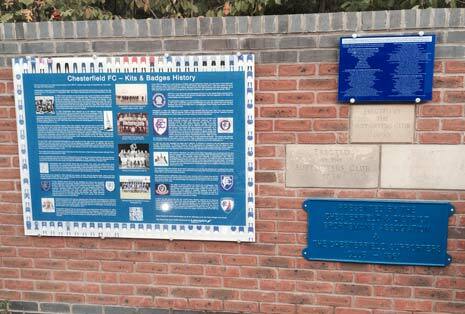 The garden a valiant effort by Chesterfield FC supporters who raised funds to commemorate and honour the players of the past at the football clubs new ground. 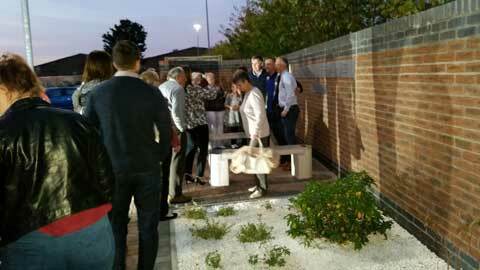 The garden is designed to provide an area to remember Spireites players and officials killed in the two World Wars and has such was attended by a contingent of the Mercian regiment along with their regimental mascot Lance Corporal Derby. 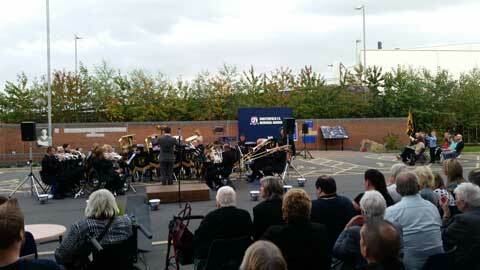 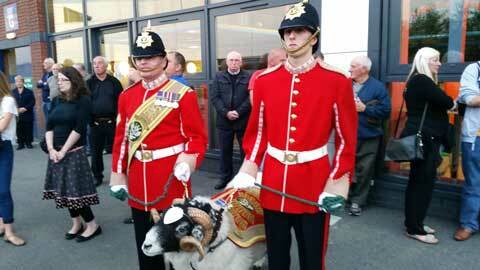 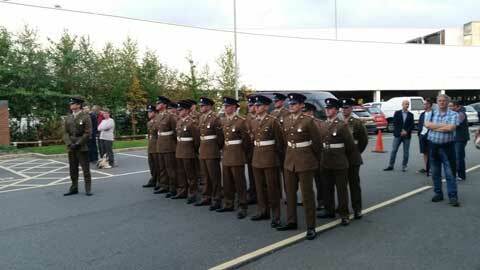 It was a seamless mix of the old and the new blended with music from the Ireland Colliery Chesterfield Brass Band. 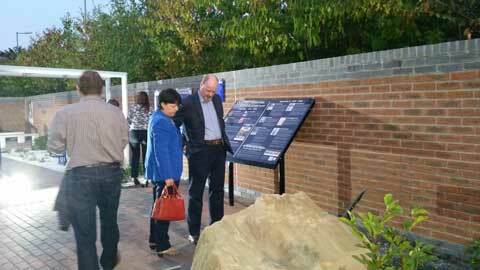 The garden itself is dressed with placards, mosaics and boards giving information on past players the boards also embrace the new with a Qr code that when scanned shows more images and video footage of historical Spirite matches. 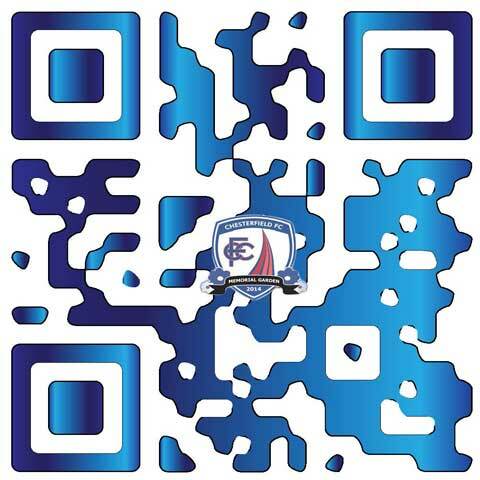 Choosing TagMe Qr codes has allowed a younger generation to use their everyday mobile phone to capture a footballing moment in time helping preserve the clubs history.